Here's a blurb and the first chapter. You were always the son of your father’s soul. You were not his seed but you were always his heart. He loved you my child, never doubt that. 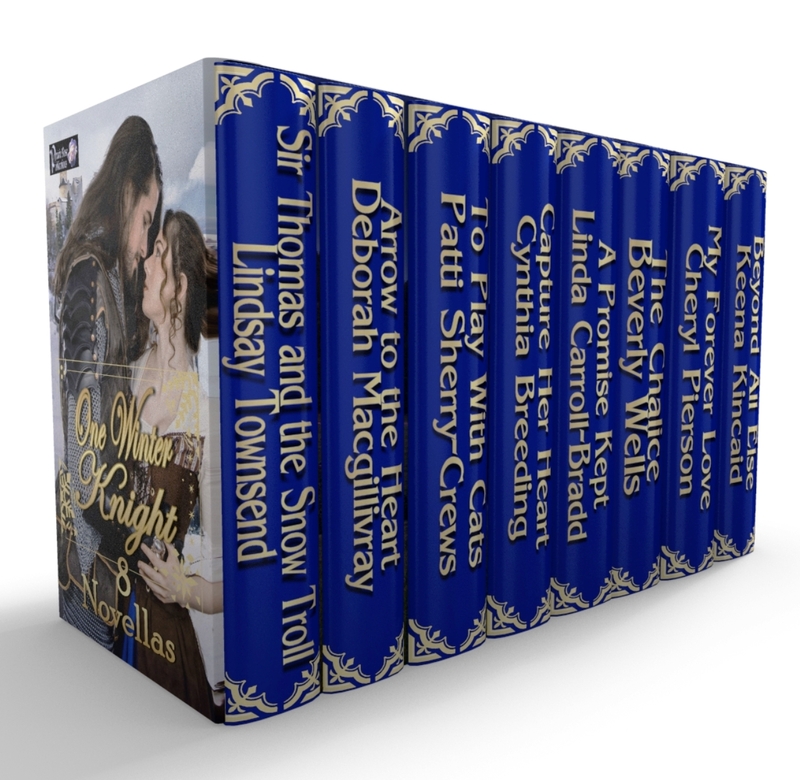 His mother’s voice pounded in Sir Thomas’s head as he rode through the forest, his mind as purposeless as a ship without a rudder. Believed to be on her death-bed, Christine of Carcassone had confessed to her son what Thomas had long suspected—that his father, Sir Guillelm of Normandy and Tissaton, was not his sire. Sir Thomas, Tom to his family, squire and friends, snapped the ends of his horse’s reins against his right thigh, caught between pity, exasperation and relief. For of course his mother, contrary as ever, had then rallied after her confession and was even now on her feet and gadding, chattering of the Yule to come, keeping the servants busy with Christmas preparations. 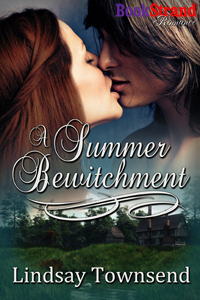 She had gaily waved him off that morning, assuring him she would be quite safe and well. Beneath her bright and airy manner Christine had been determined and Tom, torn between staying at Tissaton to hover over her or striding out to find his native father, had found himself agreeing. Now, after riding for several hours along the great north road in the northern forest, he was less sure. I am pushed from my nest like a dazed fledging chick but Mam is surely right, as she usually is. Tom knew Sir Guillelm had loved him. It had been in his father’s every look and smile and gift, in his teaching Tom to ride and count and to fashion baskets and panniers and reed fertility charms from the rushes of Tissaton’s sprawling, watery estate. Scarcely a month since his father’s death and Tom still missed him with a tearing ache in his chest, still longed to hear his stumbling footsteps on the floor of the great hall and see that cheerful, gap-toothed smile. I will call him father still, for he was ever one to me. Is this how a cuckoo feels? Tom scowled at the idea and snapped his reins again, wincing as his mount reacted with a surge of speed along the snowy track and the persistent, nagging wound in his backside stung and ached anew. A knight for three years since he had won his spurs in Normandy, Tom had become used to carrying injuries from the battle and tourney fields, but this embarrassing stab was slow to heal. Were my father alive, I would ask his advice. I will not ask the other. The other was how Tom thought of his natural sire, the one who had cast his seed into his mother and then abandoned her. He snapped his reins a third time as his mother’s voice hissed in his head, cold and hard as the winter sleet he rode through. Never think that, my son! she had scolded, soon after they had buried his real father and she had taken ill herself, dropping the equivalent of a siege boulder on his head before making a miraculous recovery and then taking him to task. Tom could picture her clearly, round and red as a robin and as furious, hopping about the solar of Tissaton keep, barely a day after she had left her fatal sick-bed. Fifteen years old. God’s bones! All lads are idiots at fifteen. “But Sir Guillelm—” Tom had started, unsure what to say, but feeling he should protest. 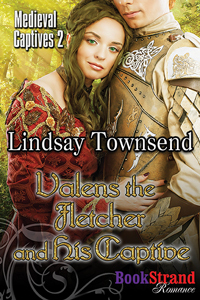 Remembering her flushed and dreaming expression Tom could not snarl, not even when his horse skidded on an ancient cobblestone on the old Roman road and the wound at the top of his thigh flared again. His parents had been happy, and for an age he had dreamed of a marriage like theirs. Tom nodded, recalling how his father had frequently taken to his bed, especially in winter. respected his father, Sir Guillelm, who had trusted him with his lands and title. Only this fall, when the man was still alive, Tom had promised the older man that he would care for Christine—Guillelm had insisted on that vow. He never asked aloud, but father realized I was less than his. And yet, he loved me. I know he did. You were always the son of your father’s soul. Perhaps Guillelm’s actions had been directed by self-interest and prudence, as his mother’s had certainly been, but there was a loving kindness, too, Tom thought now, ducking under a low arch of trees to avoid a tangle of wind-whipped branches. Yet perhaps, damn all the heavens, his mam was right. Guillelm had loved him. Would I be as generous with a child not of my own flesh and blood? The fact he did not know chilled him. Again, he drove his heels into his horse’s flanks and the black surged forward, foam falling hot from its gleaming mouth. Off in the distance, the low winter sun burned in Tom’s eyes and the bare trees seemed to crowd ever closer. For an instant, he wondered if he had strayed from the track, but then the puzzles of the moment overcame him afresh. The other, the man whose face he wore, what kind of creature was Magnus? Brooding, Tom hunched lower in his saddle and considered what his mam had said. Drawing knowledge from her was always as tricky as taking honey from a hive, but he recalled the most. “Then?” Tom had prompted, flinching as his mother sighed. A crusader! At just twenty years old, Tom was still boyish enough to feel his heartbeat racing up in awe. “He was at Azaz,” his mother added. A great battle, Tom thought. This Magnus must be a mighty warrior. I am still glad Sir Guillelm is my real father. A baby son, Tom had thought, a strange sinking sensation sucking at his bones, a healthy baby son. I have no place in this new family. And yet, Great Yarr was only twenty miles away, off to the north. He was brought back to sharp attention by his mother’s next statement. 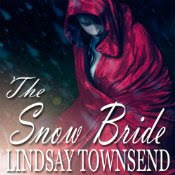 Tom winced as the grinding cold bit through his leather cloak and a heap of slush and sleet tumbled from an overhanging branch onto his head. What was he doing out in this white murk, quit from all company? Because I am fit for no human-kind at present. Had I stayed, I would have roared and raged at my mother and told her the dark truth, that I am ashamed of her. Yet, who am I to judge? He had broken his promise to his real father, too, and that made him more ashamed. Christine had manipulated him, suggesting he seek out his roots, whatever that meant. If the other is married now and has a child, what am I? Mam said he would be proud of me, but for what? Peering through the ever-falling sleet, shaking his head to rid his eyelashes of the snowy crust, Tom decided he was lost. His whole flight from Tissaton had been a poor design, half-baked notions of seeking out his native parent, and for what? Material as ever, his mam had strongly suggested he make a claim against Magnus, but truly how could he accuse Magnus of anything? The lad, as he had been as an eager fifteen-year-old, had tried to court Christine. If I find him, what then? 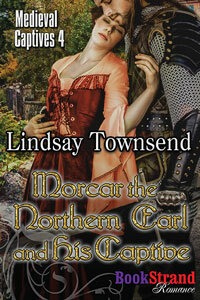 The idea of intruding on a grizzled warrior, who had earned his respite, plus a new wife and baby, sickened Tom. He wheeled his horse about, determined to turn back, if only to gallop to the closest town where he could squat down in a stew or inn over Christmas and leave those with true connections to themselves. Distracted, he missed the overhanging cloud of mistletoe and blundered head-first into the mass, almost swallowing a milky berry. Rearing back, he overbalanced and skidded from the saddle, untangling his feet from the stirrups just in time. The snow stopped falling around him for an instant as the world seemed to slow, and then he was down, struggling to right himself like a clumsy beetle tipped onto its shell. I may die down here. The thought held no malice or alarm, sliding through his mind like a shaft of sunshine. Get up! He told himself and rolled sideways. Agony lit through him as the wound on his backside burst open. Tom fought the dancing black dots in front of his eyes but the pain closed about him, choking as a fist, and he felt himself going. At the very edge of his consciousness, before he blacked out, he thought he heard a voice exclaiming, “Idiot male!” but then, he knew no more. 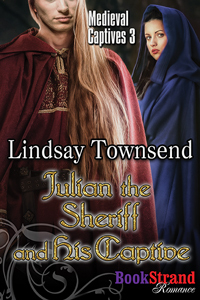 Sir Thomas' father Magnus is the hero in 'The Snow Bride' and 'A Summer Bewitchment' and he and Elfrida appear in my 'Medieval Captives' Series. 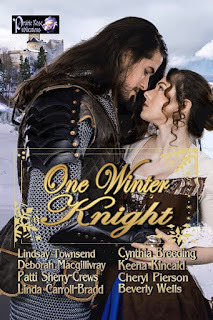 Lindsay, I so enjoyed SIR THOMAS AND THE SNOW TROLL in ONE WINTER KNIGHT. I've read several other stories by you and always enjoy them as much. I felt honored and was grateful to be included in this anthology with you and the other seasoned medieval uthors and hope to be included in future ones with you and the others at PRP. I'd always wanted to write a medieval(I adore reading them) and writing a shorter one the first time has given me the inspiration to go for the long novel I have in my head. You are an inspiration to all of us authors who are just getting our feet wet with writing medievals. So keep them coming. Wishing you the best. Hi Beverly and thank you! I'm really happy to be part of PRP and its amazing authors! I agree about "Trying out" new romance genres through anthologies, it's a wonderful way to go. Wishing you much success with your writing and your medieval novel. I'm sure it will be a winner!